There have been many products that I’ve reviewed over the past years and very few do surprise me. The Xiaomi Mi Notebook Air 2018 is one among them. Xiaomi is not exactly a well known brand in the laptop market but it definitely stands out to be a worthy competitor. The company is following the apple schema of naming and design similarities. In this line-up we’ve the all new Xiaomi Mi Notebook Air 2018. Gearbest in accordance with its 11.11 sales, has rolled out the Mi Notebook 13.3 inch model for a killer price of just $689.99 [Check here]. 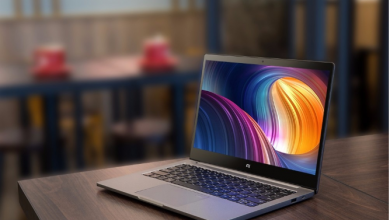 Anyways in this article let’s find of out whether the Xiaomi Mi Notebook Air 2018 is worth your investment. The Mi Notebook series stands as one of the biggest attempts of Xiaomi to make portable yet powerful laptops. Talking about the design, there isn’t any major changes when compared to its predecessor. However, the 2018 Mi notebook air stands out with its minimal silver color aesthetics, along with a slightly slimmer and lighter profile. The device weighs around 1.3kg, more or less same as its rival the MateBook X Pro. Personally I’m a huge fan of designs that doesn’t bare the logo of the brand. This is definitely one of the biggest reasons that makes the Mi Notebook super attractive. 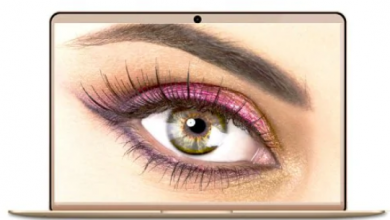 The device has full metal chassis offering an elegant look and premium feel. It definitely has an impressive build quality. The tolerances are rigid and the chassis doesn’t flex. The Mi Notebook Air supports USB C-Type ports, which you can use for charging, data transmission and for even video output. It also comes with a HDMI Port, 2x USB 3.0 ports & a headphone jack. Xiaomi also claims that you can use a 2k or 4k monitors externally to enhance your visual experience. The new 2018 revised version of the Mi Notebook Air has an advanced chip-set. It packs a i5 8th Gen Intel core CPU (i5-8250U), 256 GB SSD Storage & 8GB DDR4 RAM which means that there is 40% increase in performance when compared to the previous years Kaby lake processor. There is a major drawback in using this particular CPU that you might start facing throttle issues on reaching just 70 deg Celsius. 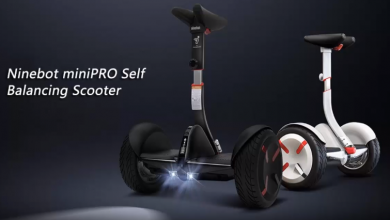 This particular model is built majorly for productivity users and not for gamers, which is why Xiaomi has abandoned the dedicated graphics. This model packs a Intel HD 620 on-board graphics. Xiaomi Notebook Air on stock runs the licenced Windows 10 Home. Since the device is backed with 8GB of memory, the experience is fluid and extremely responsive. This particular model has a 256GB SSD. We did few benchmark tests that revealed a write speed of 3000Mbps and sometimes even more. Mi Notebook Air also has 16:9 Full HD display with edge to edge glass protection which is rare to encounter even in High-End Chinese laptops. Also the bezels are as thin as 5.59mm. Since the Mi Notebook series are specifically built as a budget rival to the macbook series, I was particularly hoping for a great display. Unfortunately this isn’t the case, in-terms of display it’s definitely better than the displays playing in the same price tag, but no-where close to the macbook. The Full-HD Panel does mean something. It has crisp visuals and great viewing angles with 95% sRGB color gamut. This 95% value depicts how much color the xiaomi panel can handle. I was very much pleased with the visuals. The colors didn’t pop-out too much & the contrast was properly balanced. Although the depth of black could’ve been calibrated better. Considering that the device is built for productivity reasons, I feel the battery is where the device lacks confidence. Xiaomi has included a higher energy density battery of up to 578Wh/L. It also supports 1C fast charging technology so that you can charge your device up-to 50% in less than 30 mins. Talking about the battery performance, the device barely made it through the day. You have an uncompromised lifetime of up-to 9 hours of word, excel, browsing and light video editing. I must say the Xiaomi Mi Notebook Air 2018 delivers a uncompromising performance while staying thin and super portable. The device is a great companion for college & business work. Xiaomi has thought about everything and they’ve even added AKG Custom Dual top-facing speakers. Further the bass output is enhanced with Dolby Audio. Considering the price tag and the elegant design, I definitely feel the Xiaomi Mi Notebook Air is a worthy competitor to the Macbook Air line-up. If you feel that dedicated graphics is important then you can choose the Xiaomi Mi Notebook Air with Nvidia GeForce MX150. Anyways do share your thoughts and views on the all new 2018 Xiaomi Mi Notebook Air on the comment section below. 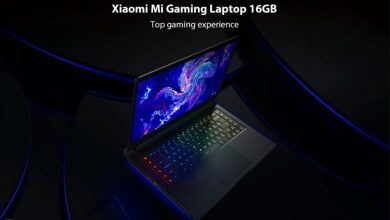 The Xiaomi Mi Notebook Air 2018 is available on gearbest right now. You can put a deposit in advance, get the extra discount when finalizing your payment later. Now Pay 10$ as deposit to reserve the product. The deposit is worth 354$, you can have 354$ off for the products. Note: Do note that GearBest points and coupons will not be applicable for final payment. Also, the deposit is non-refundable if you decide not to make the final payment within the time frame provided.